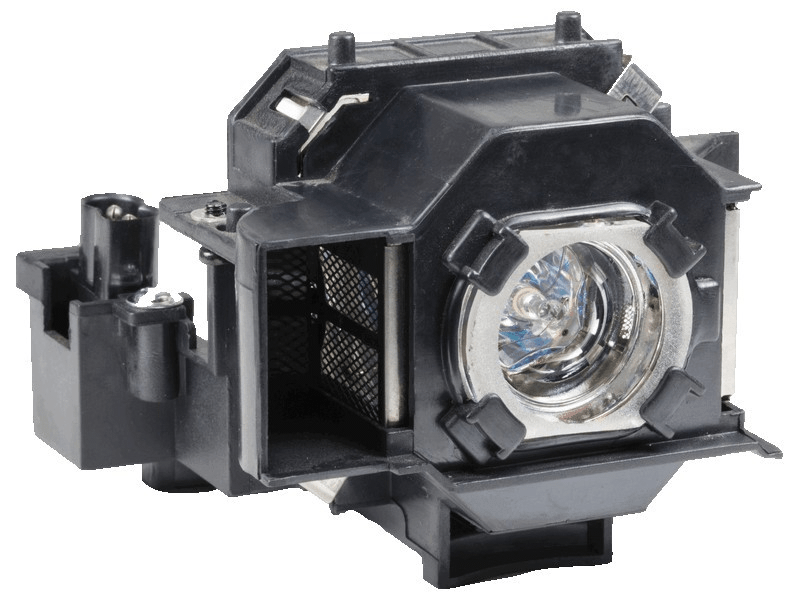 The Moviemate 72 Epson projector lamp replacement comes with a genuine original 170 watt Osram brand P-VIP bulb inside rated at 1,200 lumens (brightness equal to the original Epson lamp). The Moviemate 72 lamp has a rated life of 2,000 hours (3,000 hours in Eco mode). This lamp replacement has superior brightness and lamp life than other cheaper generic replacement lamps being sold elsewhere. Purchase with confidence from Pureland Supply with a 5-star Google rating, free ground shipping, and a 180 day warranty. Moviemate 72 Epson Projector Lamp Replacement. Projector Lamp Assembly with High Quality Genuine Original Osram P-VIP Bulb inside. After discovering that I can no longer get lamps directly from Epson, I checked Amazon and bought one that claimed to be OEM for about $60. Big mistake. When I installed the lamp (lamentably after the return window), it was much dimmer than the original lamp which had 4000+ hours on it. Lesson learned. I replaced that lamp with this one from Pureland Supply and, not having a light meter to measure, it appears to be much closer to the original spec. I have now purchased another, so I have a spare for when the current one gets too dim. Pureland is quick to fulfill orders and their products are high quality. Very highly recommended.